Who needs a power solution? Why are today's electronic systems more prone to electrical disturbances? How do electrical disturbances enter a system? How to recognise power related problems and what happens if they are ignored? How can power related problems be overcome? How can this save money? You need to protect mission critical equipment i.e. file servers/hubs/routers etc or any equipment where even a temporary loss of power or the ingress of power pollutants could cause problems. Very high semi conductor packing density of integrated circuits operating at higher speeds and lower voltages has greatly increased vulnerability to power pollutants. Mains borne viruses (noise and transients) enter between live and neutral, or worse still, can easily enter via the earth line. System crash, data corruption or did your system do something you did not expect? Ignore these problems and you will eventually suffer from disruption - degradation and destruction. All power related disturbances can be permanently eliminated by the correct combination of uninterruptible power supplies and power conditioners. Fitting our products reduces fault rates, increases equipment life, improves customer satisfaction, reduces your engineering call outs and cost of maintenance. Power conditioning of 'dirty feeds' completely eliminates the need for clean feeds and all associated wiring and distribuition. 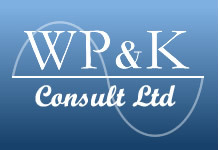 WP&K Consult are one of Europe's leading power consultants. We advise on the prevention and elimination of all power related problems across a diverse spectrum of markets i.e. Medical-Industrial-Retail-Telecom. Our services include consultancy, power quality surveys, power factor correction, harmonic protection, engineering, installation and equipment supply.